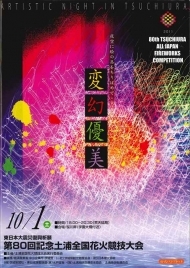 On October 1st, 2011, Hokuriku Kako participated in " 80th Tsuchiura All Japan Fireworks Competition "same as every year. And, we entered two categories, " Creative Fireworks " and " 12-inch Shell ". This competition is known as the most valuable and traditional fireworks competition in Japan, with a long history started in 1925. 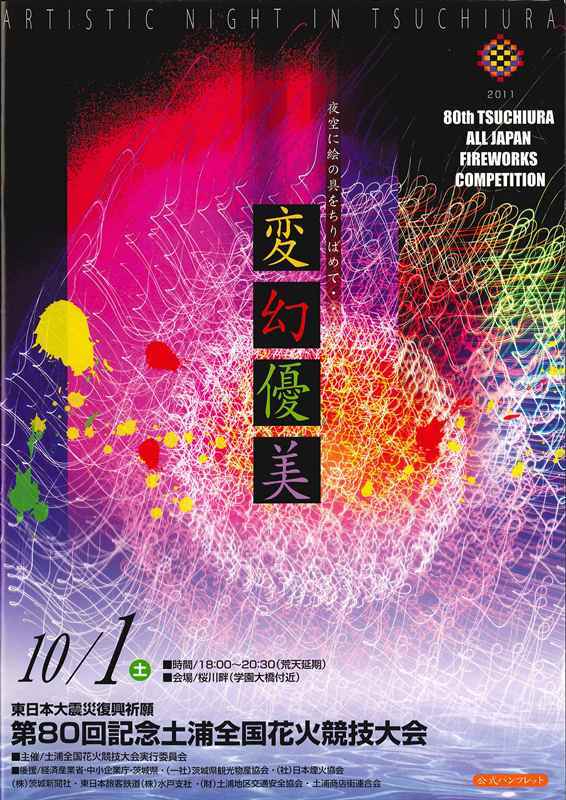 Because of its highest levels of quality and scale, over 800,000 viewers come to Tsuchiura every year. 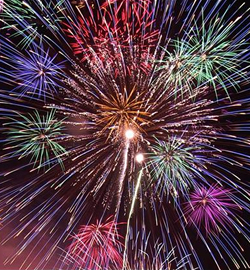 This year, 59 fireworks companies has made 89 entries for three categories. In " Creative Fireworks " category , we have shown " Deme King ", meaning the King of goldfish. " Deme King " has special features in shapes, which look like a big-eyed gold fish. We could hear a great cheer arose from the audience. Also, we could make the audience surprise by our 12-inch shell named as " Golden Palm to flying star with double core ". We were so grateful since we could bring the audience happiness and smiles with our fireworks in both categories. In addtion, and most importantly, we have got the prise in both categories !! With this first time experience of the double prizes, our pleasure and excitement have been doubled up !! Also, we have recieved the prises three years in a row !! We at Hokuriku Kako continue to improve our technique and make fireworks so that many people will be happy and make smiles with our fireworks.